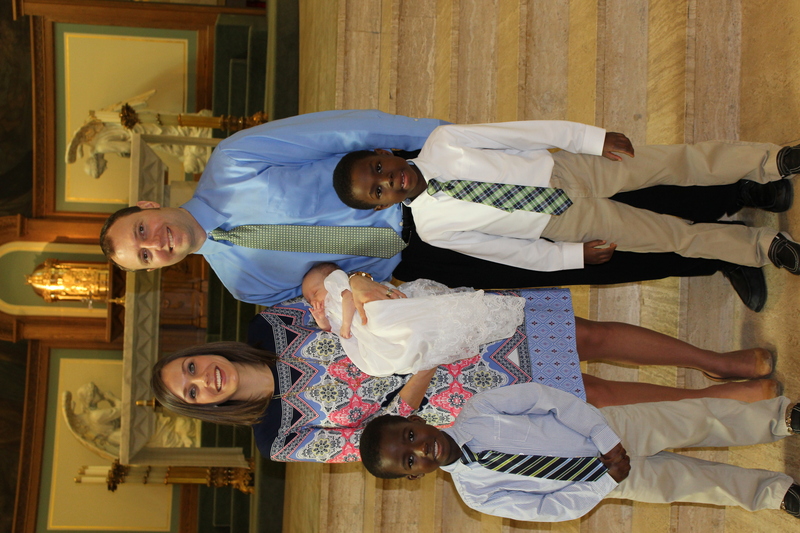 This weekend we celebrated Grace’s baptism and I am still recovering from the preparation and events. I am not sure how families with several small children make it out the door and arrive early for Mass. Hopefully I will find out the secret soon as we will be able to bring Grace to Mass in the next few weeks. We had a very small baptism with just grandparents and godparents as the doctors don’t want her in big groups of people yet. 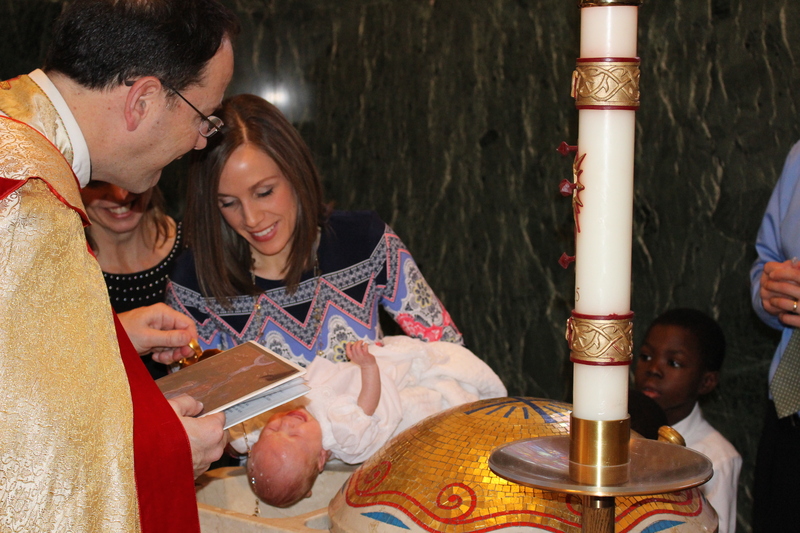 The priest who baptized Grace is the same one who gave me the anointing of the sick during my pregnancy when we first learned that my placenta had started to abrupt. Now to have him baptize the very baby we didn’t know we would ever be able to meet. 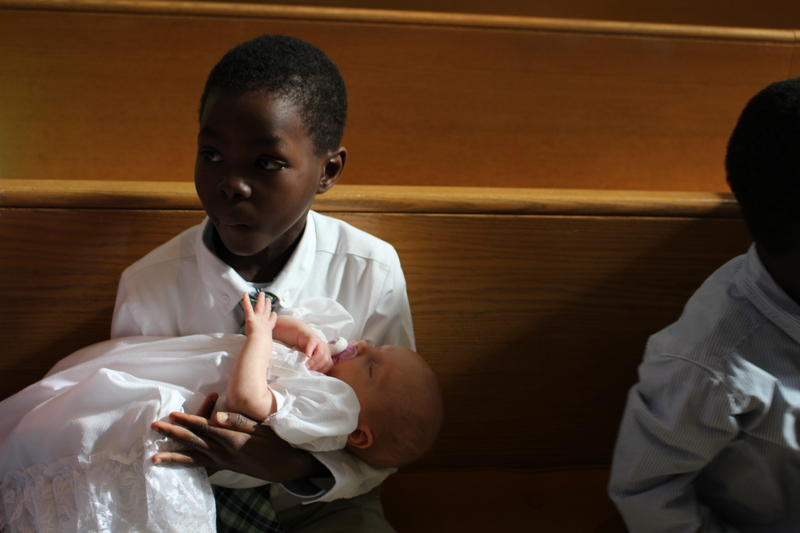 Grace wore my baptismal dress although it was a bit big for her. She did pretty well, but definitely let her voice be heard. Father wanted to know if she was hungry, no she just makes sure her opinion is known if she isn’t happy. What a beautiful sacrament, what a beautiful day! To be washed in the waters of new life and to be filled with an outpouring of grace! My eyes were filled with tears and my heart filled with complete joy. To be living the moment, holding our daughter remembering the journey and struggle and rejoicing in God’s faithfulness. Truly a gift, to receive God’s grace. A gift that loves and guides, that fills and provides. A very blessed day to treasure and always remember!